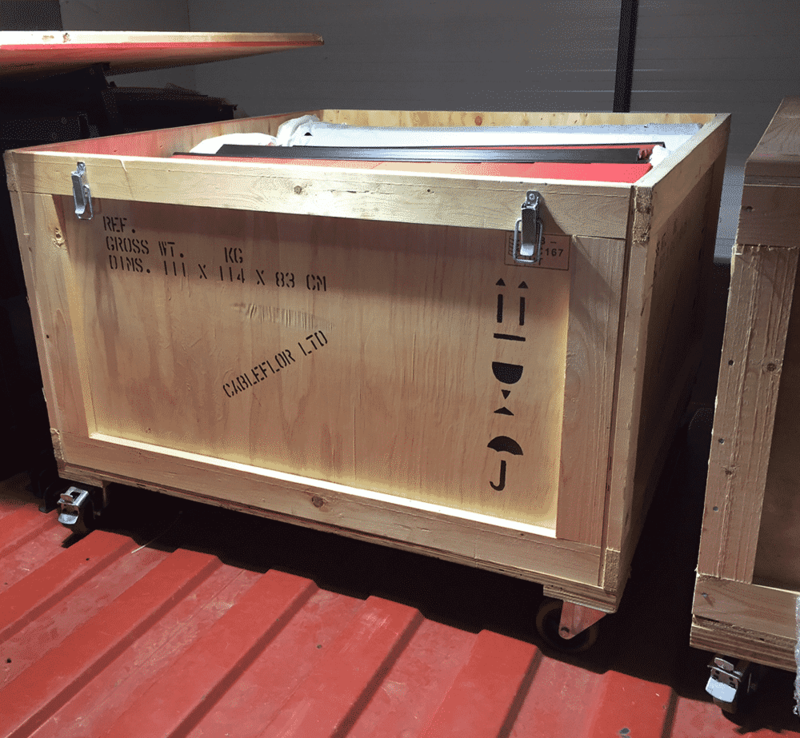 These are reinforced timber crates made up to take a maximum of 40 sqm of Cableflor – any more and you can’t reach the bottom of the crate. It has a clip on lid and strong lockable castors fitted to the base. 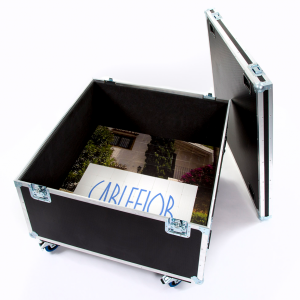 They are more cost-effective alternative to a flightcase. 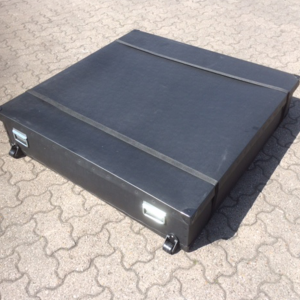 Suitable for Luton Vans with a tail-lift, ramped vehicles or venues with lifting facilities. 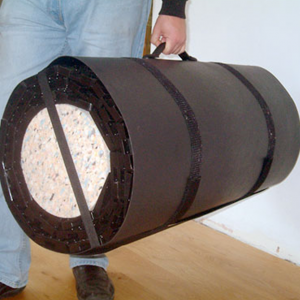 Wheeled crates are a cost effective way of handling larger quantities of Cableflor. We can make them to suit the size of your kit.